The variant’s introduction will be the first of many ‘green’ launches we can expect from Skoda! “The future is electric,” reads Skoda’s latest press release, announcing the showcase of the Vision E. The concept previews the brand’s first pure-electric vehicle and Skoda goes on to confirm the introduction of 5 new fully-electric cars by 2025. However, quite literally, the headline here is the plug-in hybrid Superb, which has now been officially confirmed for launch in 2019. 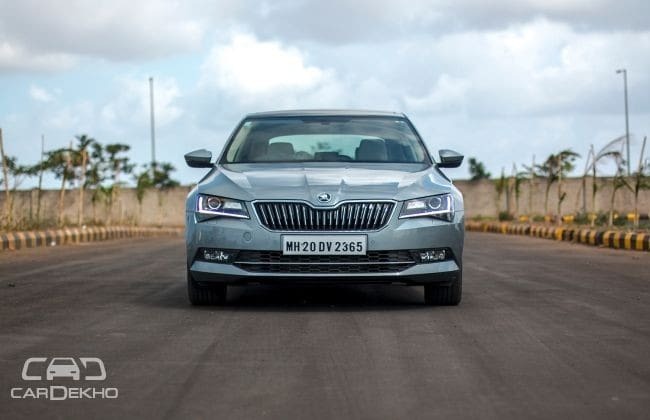 The hybrid sedan will be one of many eco-car launches that Skoda has lined up for markets around the world and will be a major addition to what is already a very accomplished car. The car is expected to share its underpinnings with its cousin, the VW Passat, or more specifically, the Passat GTE. Now, many believe this launch is still quite late to the game, but Skoda believes 2019 is a year where the demand for plug-in hybrids will be lucrative enough to push for scale production, thereby helping in the reduction of production expenses. Currently, the Superb is available in India with petrol and diesel engines, with the latter being more popular. However, direct rivals like the Toyota Camry and Honda Accord are available in hybrid powertrains. In fact, even though the Camry isn’t offered with a diesel engine in a segment where the fuel type is preferred, its average monthly sales are close to that of the Superb’s. Apart from the Toyota badge, that’s down to the efficient petrol-hybrid powertrain. Its ARAI-rated efficiency figure of 19.16kmpl is greater than the Superb diesel’s 18.19kmpl, so clearly, there’s a lot of potential to explore with the Superb hybrid, especially with the recent anti-diesel rhetoric. Skoda will certainly consider getting the hybrid Superb to India, but like the standard model, it has to be built locally to achieve a competitive price. We don’t see Skoda having any trouble with that!